Iverson's Pitbulls - "Puppies & Breedings"
"Never buy a dog from a man who makes his living off of selling dogs." The offspring from this breeding will not be for the inexperienced owner/handler or the weak-of-heart. We'll put more info out to the public as it becomes available. Any and all puppies becoming available from this breeding will go to heavily scrutinized homes. 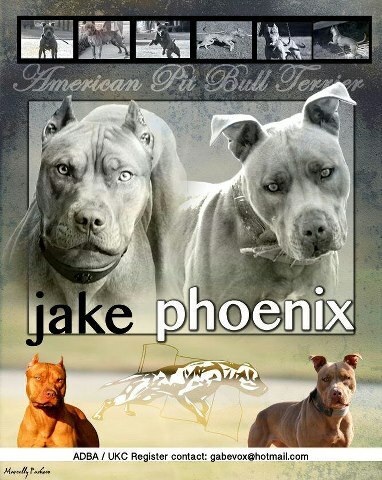 * IVERSON'S PITBULLS recently (06 Aug 2010) produced what we believe to be the most promising Castillo litter produced in a long time. With 98.44% purity, this litter was the purest of its kind in this millennium and proved to many that a high concentration of Castillo blood still produces viable, sound, well-rounded, and beautiful APBTs. It produced the first UKC Conformation Champion for the Castillo bloodline since CH Munoz Kash & CH Castillo's Mejia's Sampson, as well as a Nationally-Certified Medical Therapy dog. You can check out CH CHIPS, EMBER, and SANDMAN from this breeding on our website. Our hearts and prayers are with big TOK, as we hope he made it over that beautiful bridge in peace.